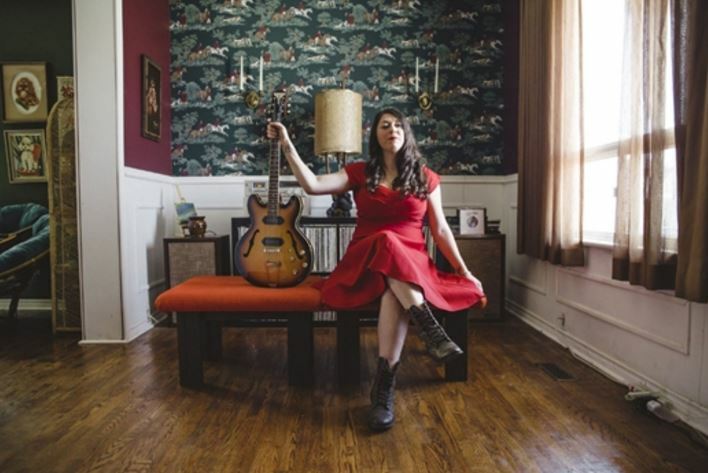 There’s something about Terra Lightfoot that’s impossible to capture in the studio. Sure there’s that incredible voice that can soar above the rafters without any digital enhancement. Anyone who’s heard her hit album — “Every Time My Mind Runs Wild” — knows how good that voice is. Still, it’s another thing to see Lightfoot live. The Hamilton singer-songwriter revels in performance. It unleashes that voice, sends it to new heights, and adds a step to the songs that can’t be duplicated in the studio. And there’s that patter. Lightfoot has an endearing bossiness about her that makes audiences laugh out loud. The album, released Friday on Hamilton’s Sonic Unyon Records and distributed by Sony Canada, was recorded during an intimate night at McMaster’s high-tech LIVELab theatre. But this time the songs have a few added features, including conductor Boris Brott and 16 members of his National Academy Orchestra, as well as Lightfoot’s six-piece touring band (including backing vocalist Lisa Winn) and a special guest guitar solo by John-Angus MacDonald of The Trews. The idea for the album originated in a Pan-Am Games performance Lightfoot did with Brott and the orchestra in the summer of 2015. The show was so successful that the two decided to do another, except, this time, record it. They booked the LIVELab — a 100-seat theatre used by McMaster University researchers to investigate the effects of music on the brain — as the site. Two back-to-back concerts were set up on Dec. 5, 2015. Standouts on the live album include” “No Hurry,” with its R&B-inspired horn section; “Lily’s Fair,” which is featured in a new video from the show; “See you in the Morning,” with a lightning guitar solo by MacDonald of The Trews; and “Home to You,” backed with a swirling string section. Lightfoot estimates she performed more than 150 times last year in Canada, the United States and Europe. Her busy touring schedule was honoured on Wednesday night at a reception/record launch at Toronto’s Drake Hotel where Lightfoot was presented with the Gold Road Award by the Canadian Independent Music Association. The award is given to Canadian artists who achieve a total of 25,000 tickets sold on headlining or co-headlining shows within a 12-month period. At the CD launch, Lightfoot performed all eight tracks on the live CD, backed by a three-piece string section, as well as introducing three new songs she is working on for her next studio album.